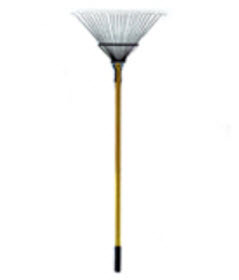 Professional Grade Round 22 Tine Yard Rake with Fiberglass Handle. Color: Yellow, Size: 61" x 24". This product is only sold by the case. Six (6) rakes per case.